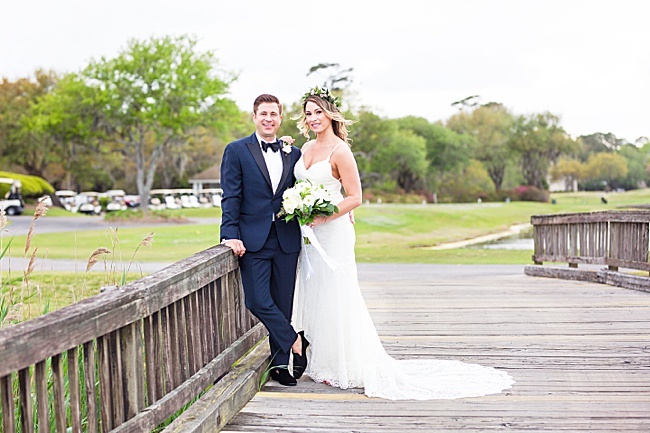 Michael and Mandi (who is in advertising) met at her work event when he was working for a hospice company. 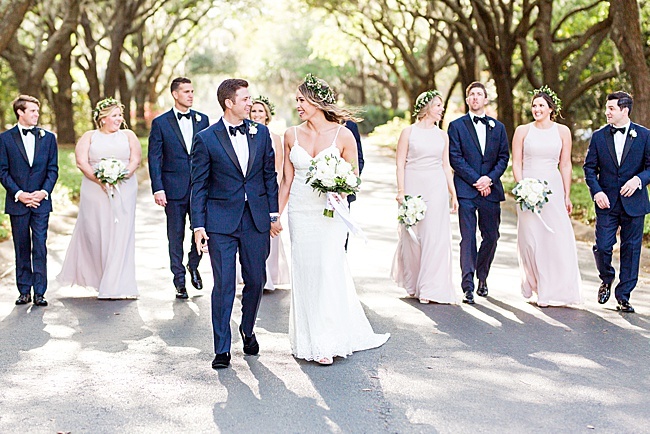 At the final meeting, he asked her on a date and the rest is history. 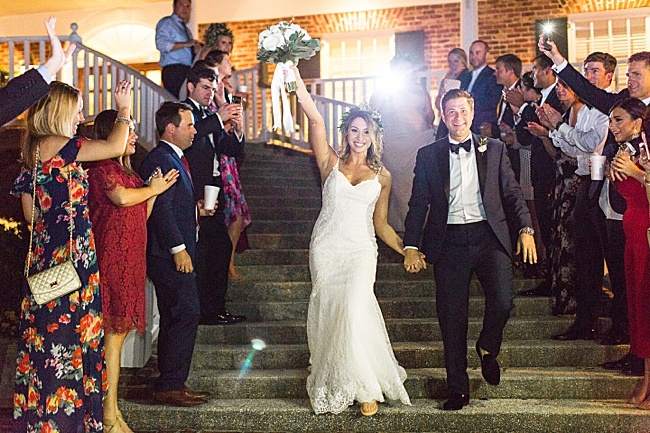 After three-and-a-half years together, the pair booked a tropical getaway to Cancun. 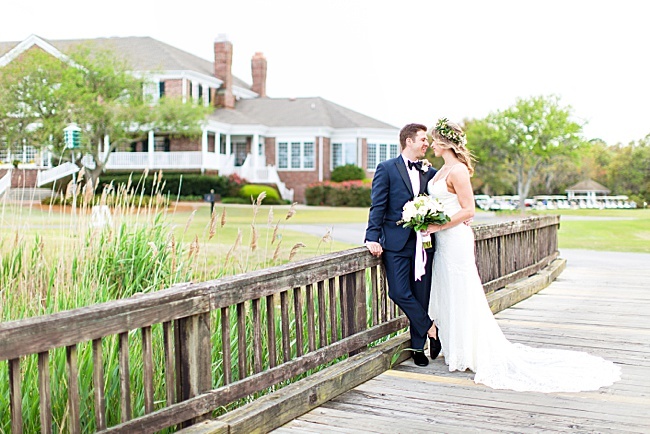 Michael arranged a special dinner for two on a pier overlooking the beautiful turquoise water. 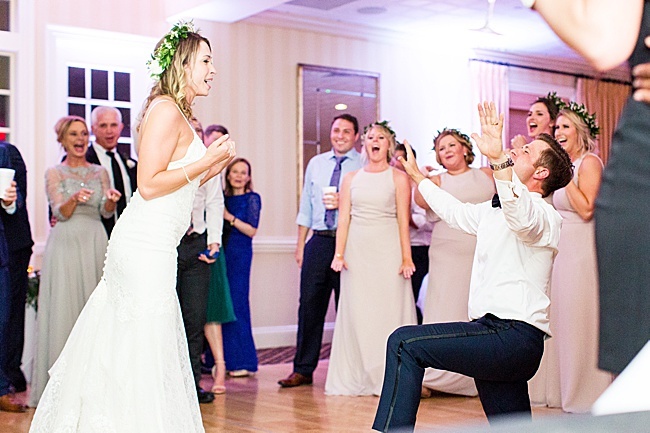 Once the champagne was poured, he got down on one knee and proposed with the most beautiful and heartfelt words. 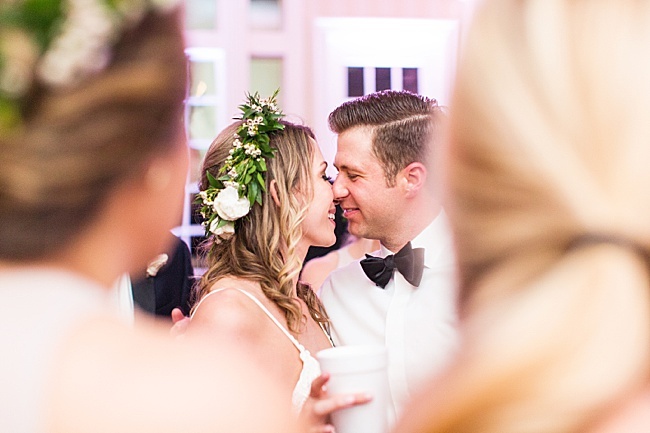 The couple enjoyed an amazing dinner and spent the rest of the week celebrating. 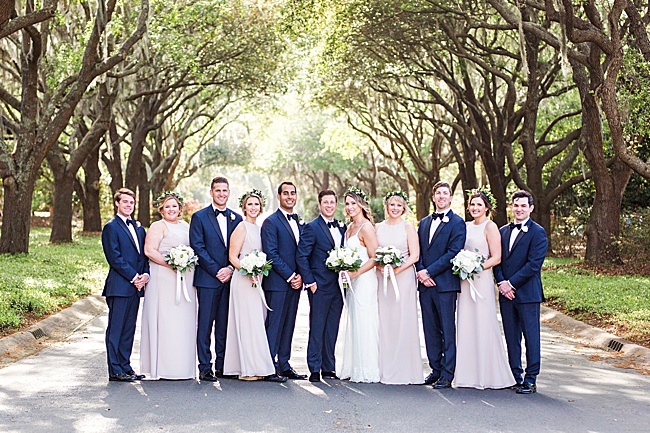 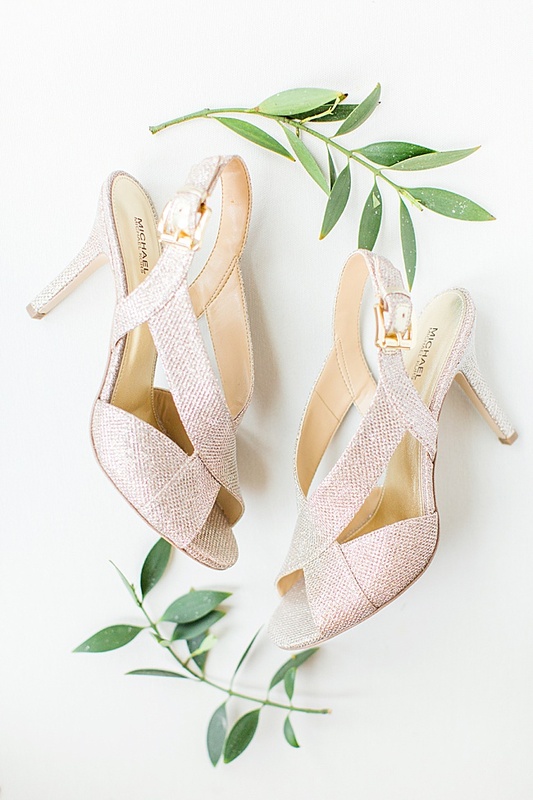 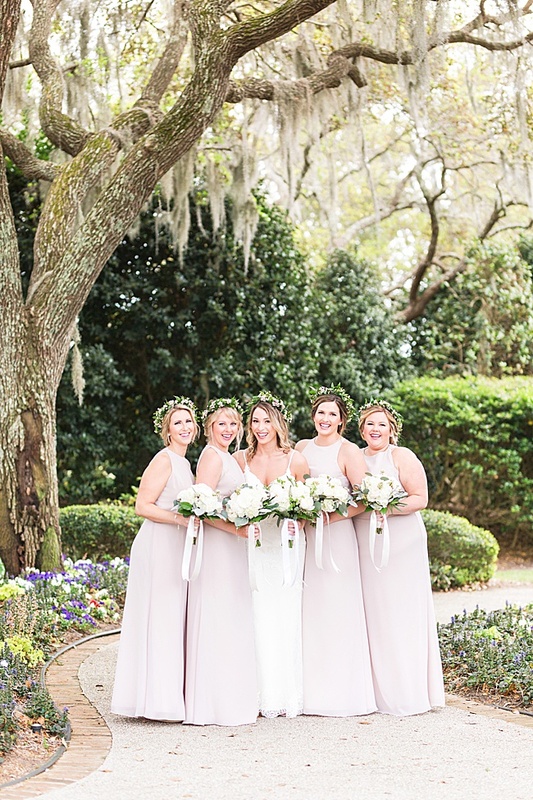 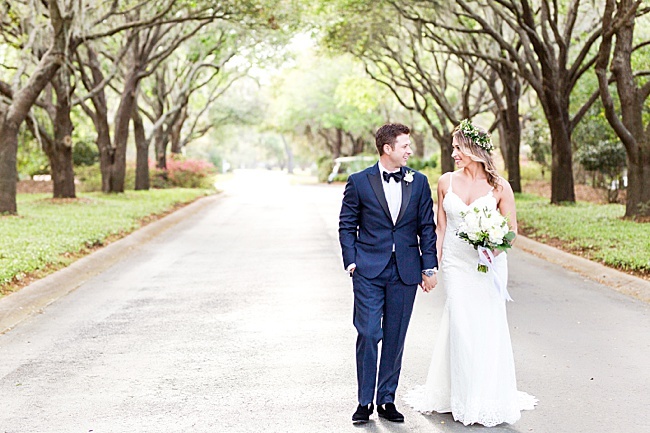 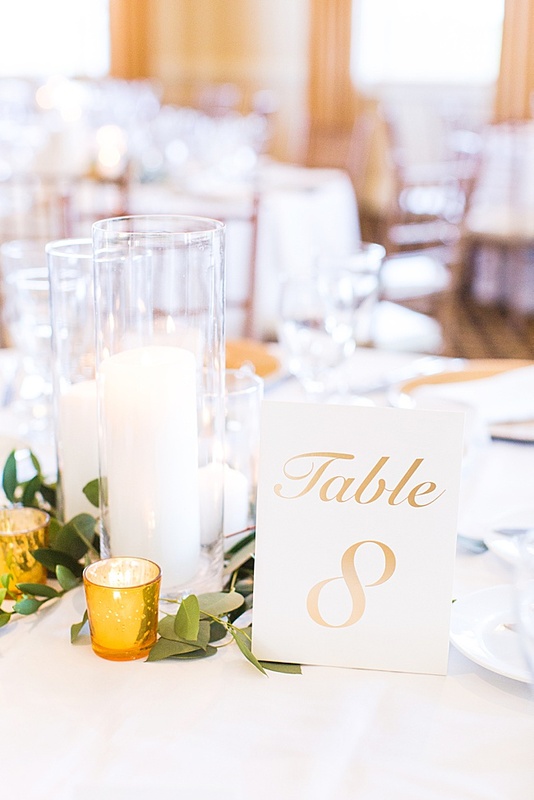 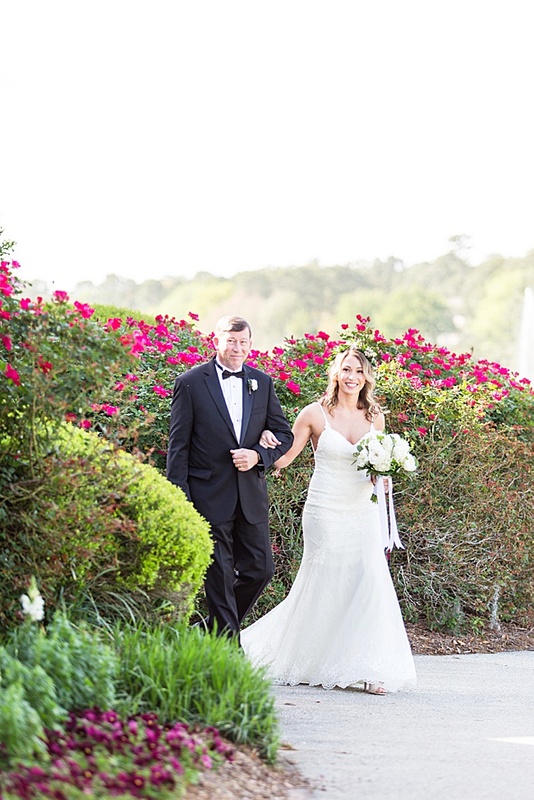 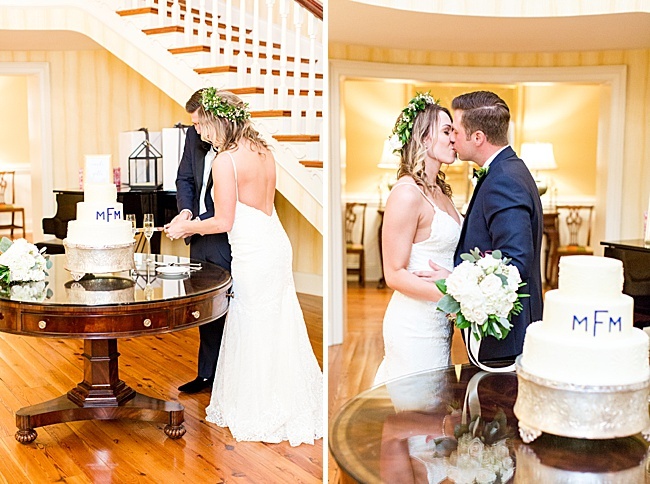 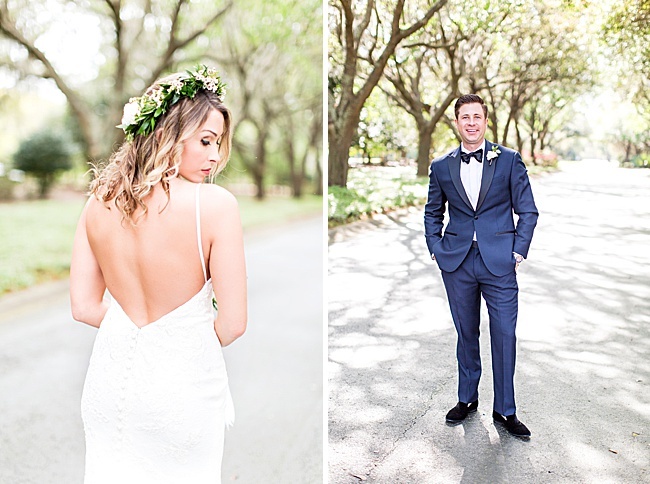 The April wedding was held at the DeBordieu Club in Georgetown and featured an elegant bohemian theme with greenery and hints of gold throughout. 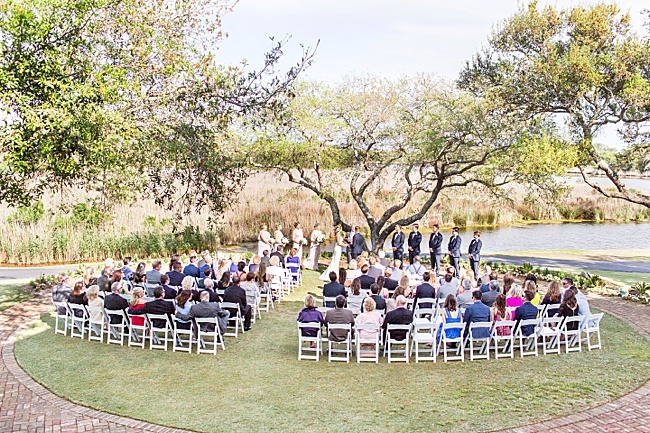 The ceremony took place on the lawn under the beautiful trees overlooking the marsh, and Magnolia Photography captured the big day. 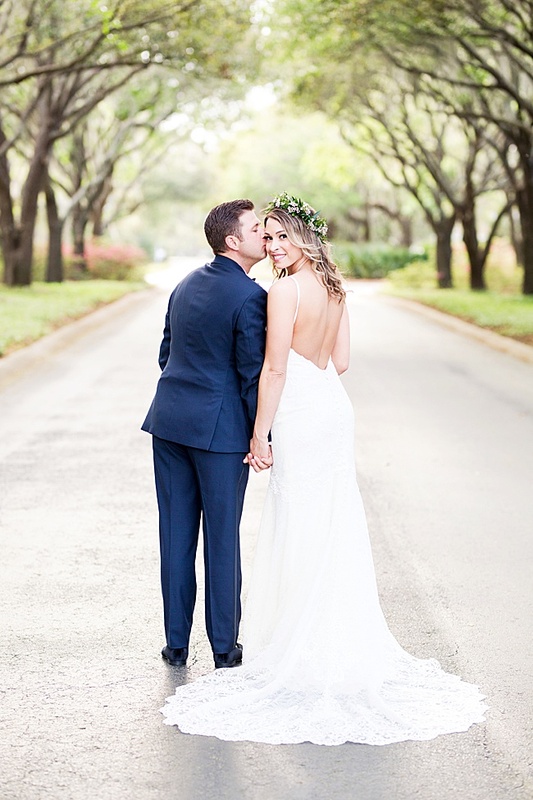 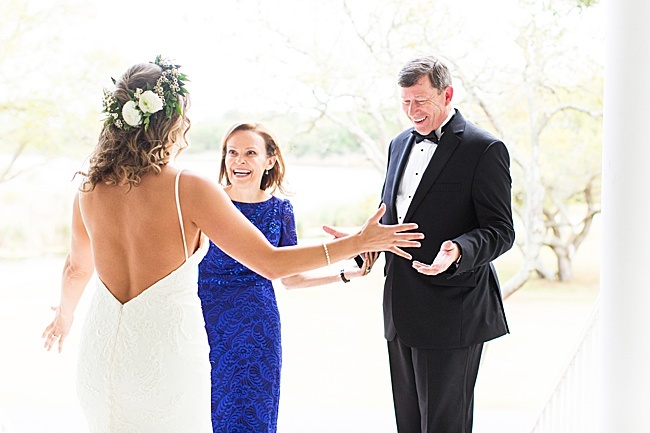 Mandi’s Essense of Australia dress, from The Gown Boutique of Charleston, featured a scalloped lace hem, a low back with buttons all the way down and beautiful lace on the train. 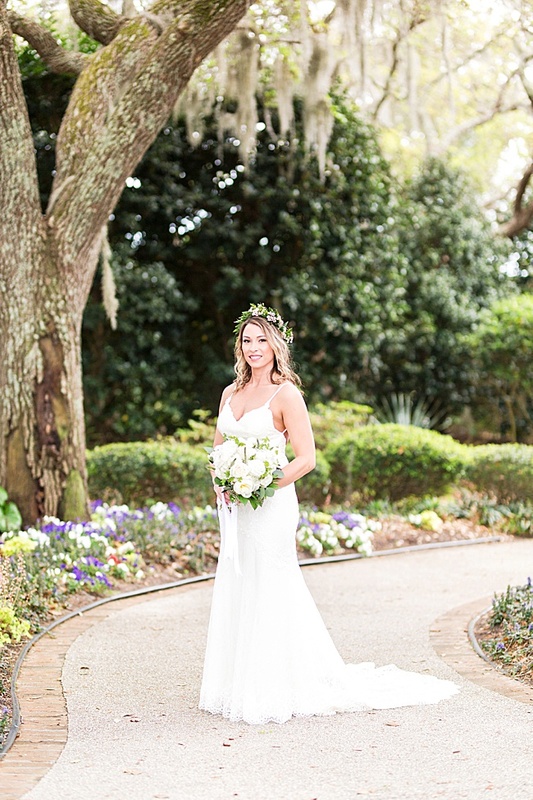 She wore a flower crown as a nod to her mom, who wore one on her own wedding day. 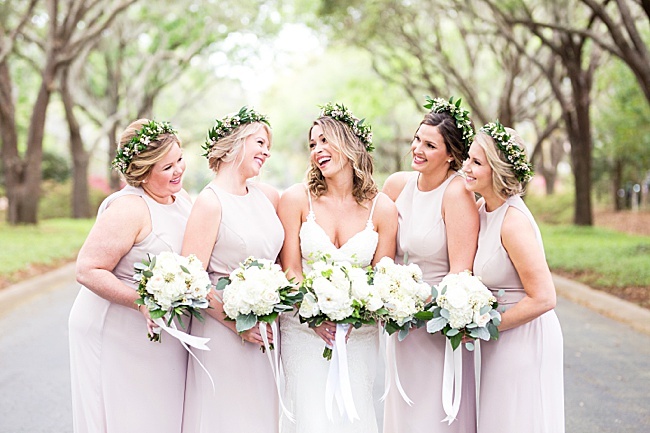 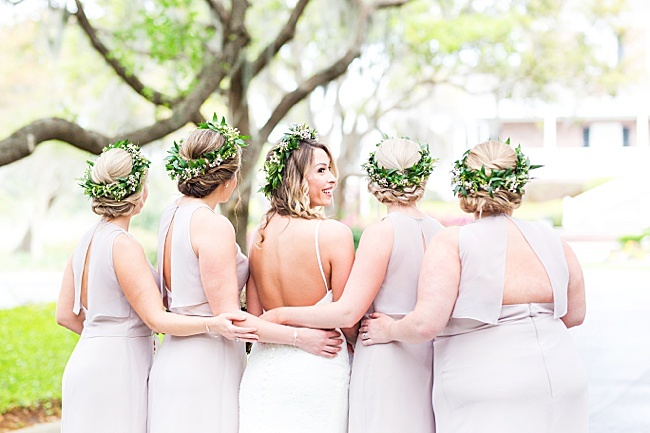 The bridesmaids also wore greenery crowns with their open-back, candlelight-colored Hayley Paige Occasions dresses. 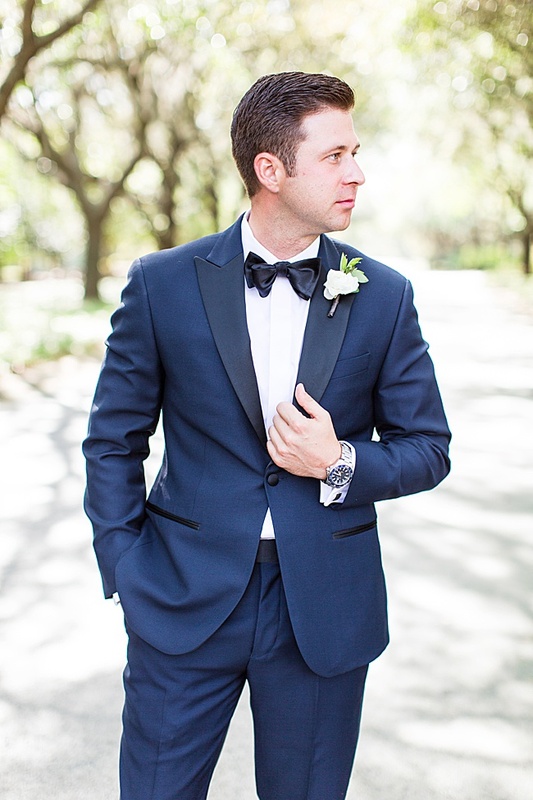 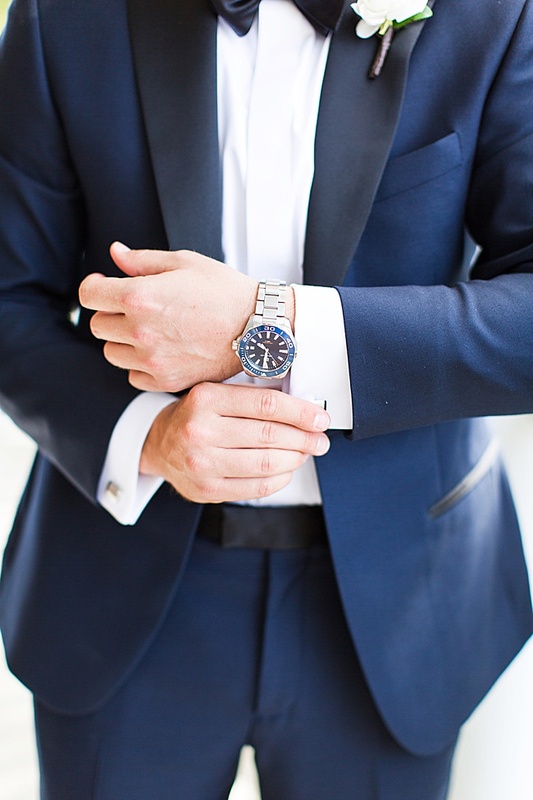 The groom and groomsmen wore midnight blue tuxedos with black lapels and black bowties. 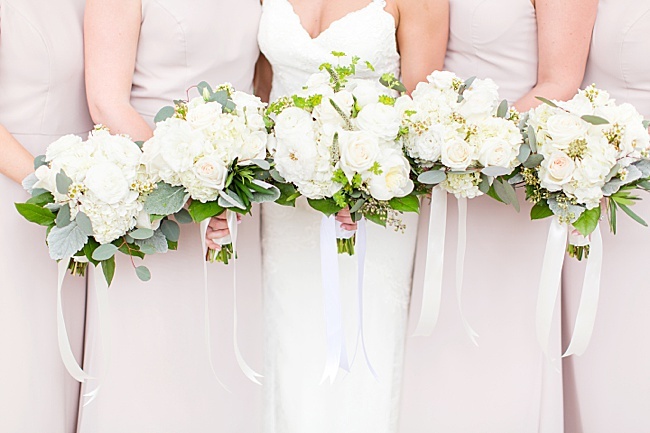 The bride’s bouquet by Carolina Charm featured white lisianthus, garden roses, peonies and lots of greenery. 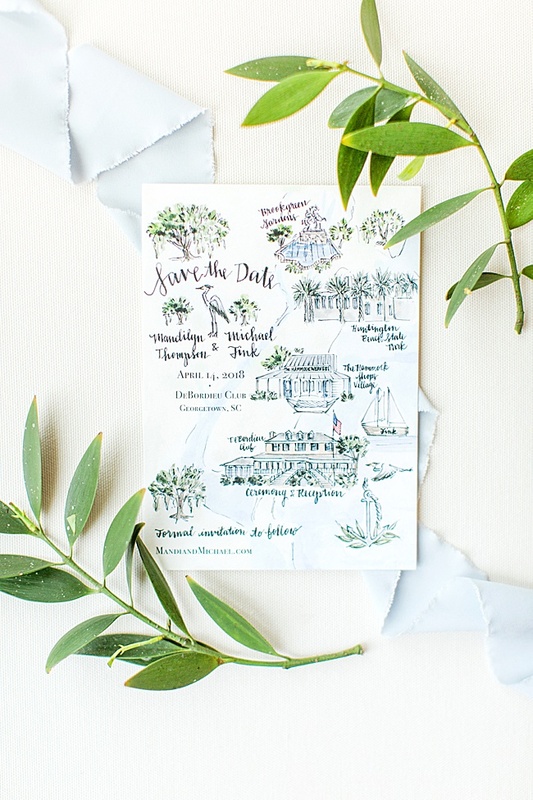 The hand-painted Save the Dates included a map of the Pawleys Island and Georgetown areas. 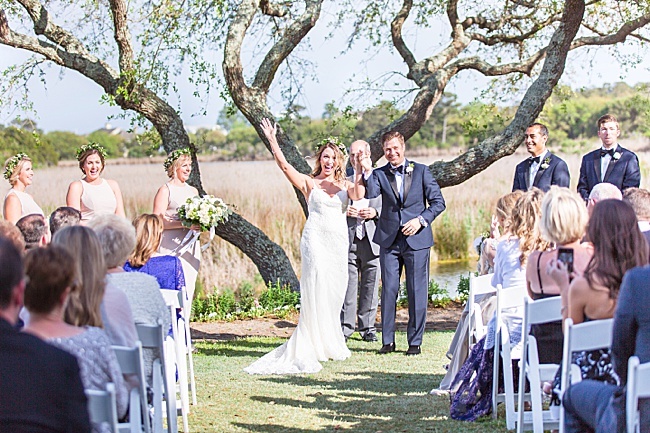 Palmetto Strings provided the music for the ceremony and cocktail hour, and “A Whole New World” was played as the groom and bridal party entered the ceremony. 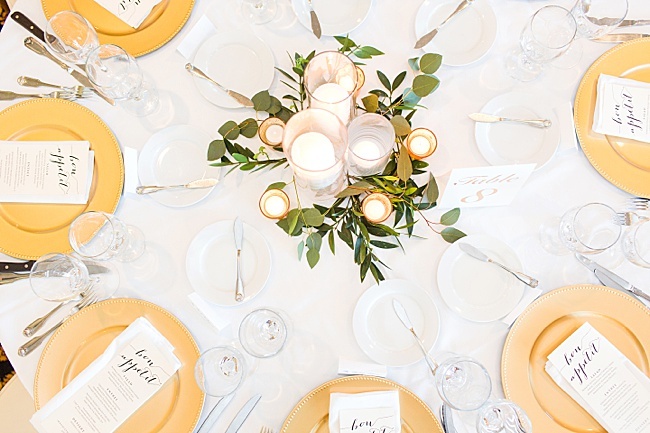 The dining tables featured different sizes of white pillar candles, along with lots of greenery and gold plate chargers. 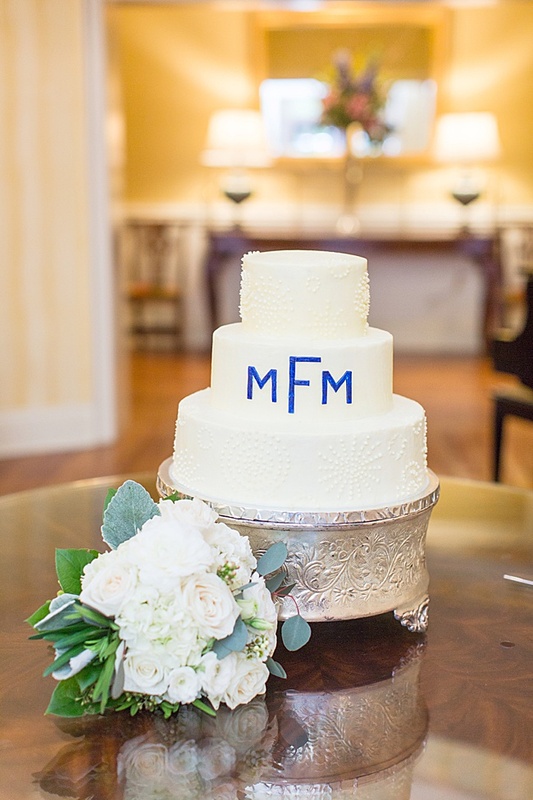 The cake was created and gifted by Mr. & Mrs. Les Whitley, who previously owned Crady’s in Conway, where the groom worked during high school. 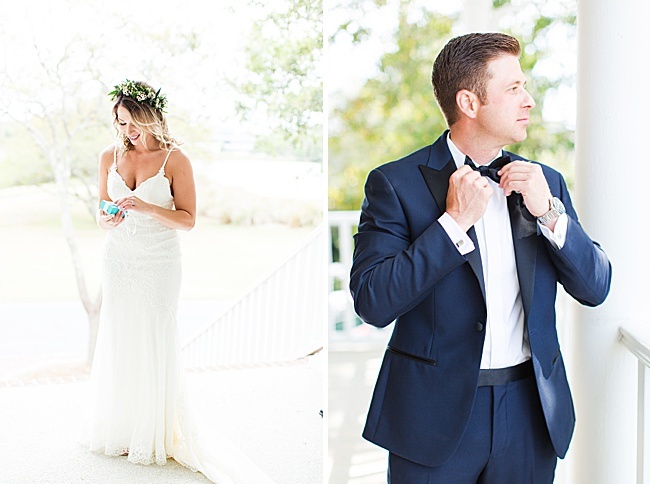 The guestbook featured photos of the couple throughout the years where guests could sign and write notes. 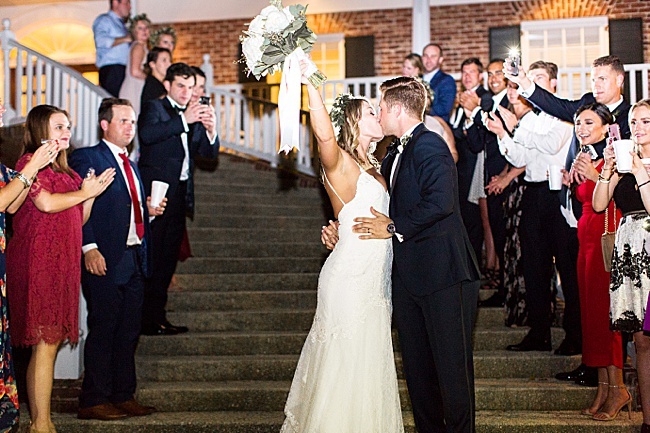 The favors were the pair’s favorite candies—Sour Patch Kids for her and trail mix for him. 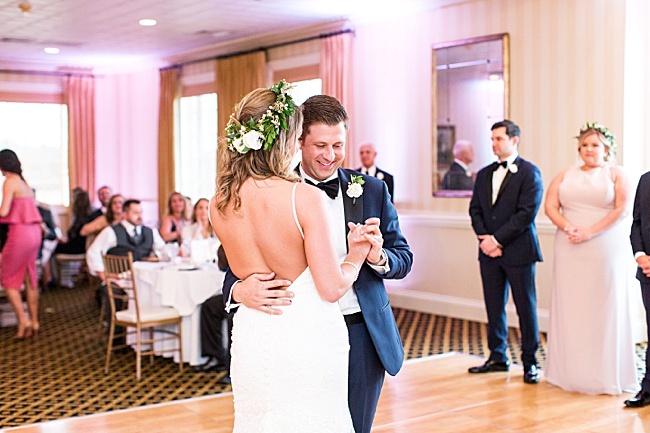 For the last song, Michael asked for “anything Whitney Houston.” They closed the night out with “I Will Always Love You,” as everyone moved off the floor for the couple to dance and Michael to serenade Mandi, even getting down on one knee. 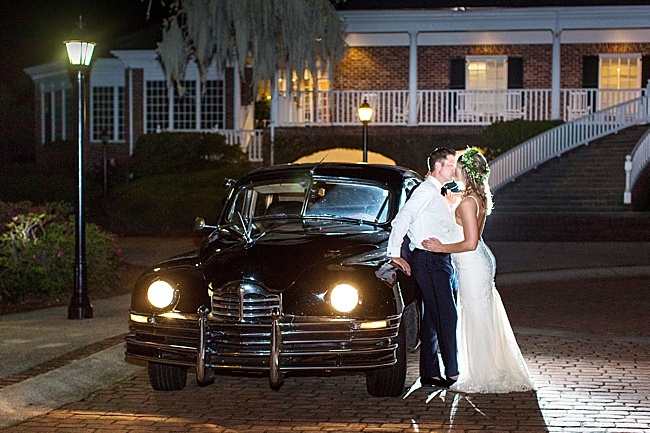 The pair left in a gorgeous 1948 Packard from Carolina Limousine.